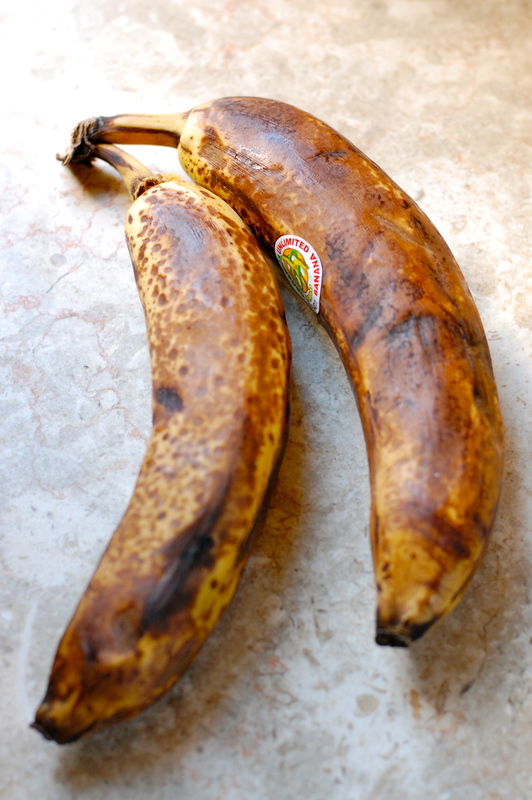 I don’t know about your fruit bowl, but ours is regularly and inevitably graced with several overripe bananas at any given time. We are a household of picky banana eaters. Once they are past perfect, they are summarily ignored. 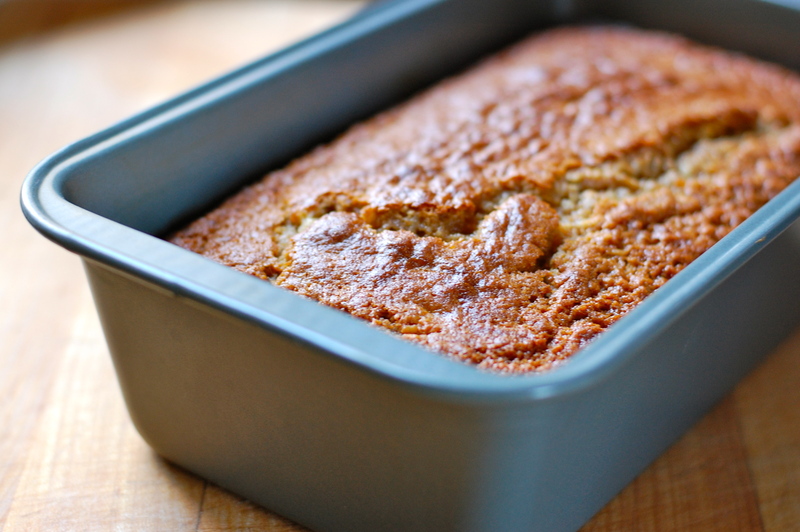 Lucky for us, Jonah has taken up the cause by perfecting this fantastic banana bread recipe over the last few years. Chock full of healthy ingredients, low in sugar, absolutely moist and delicious, it is always a treat and perfect for an afternoon snack. Try it out – it never lasts long around our house! And end up with this! Preheat oven to 350°. 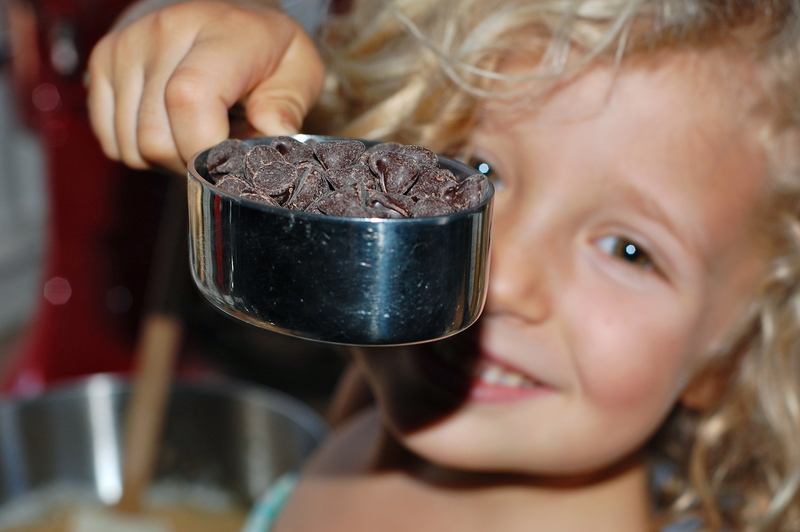 Combine dry ingredients (flour, baking soda and salt) into a medium-sized bowl, sifting if desired. 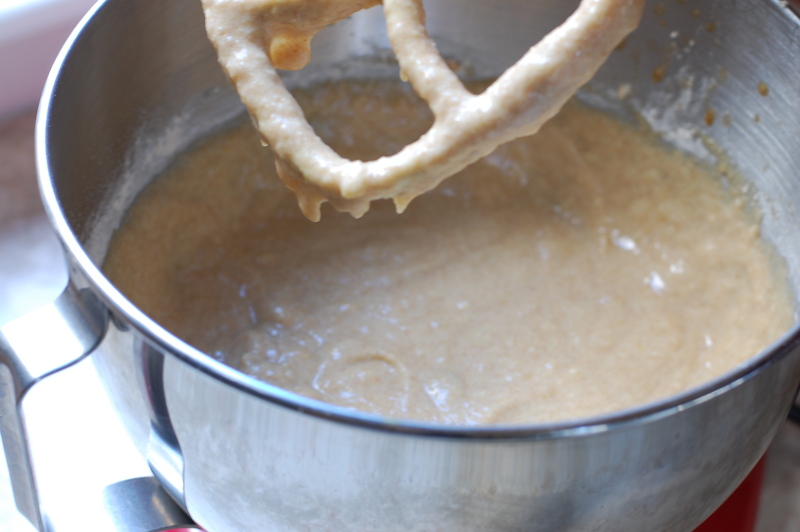 Using a mixer, cream butter, applesauce (if using) and sugar until well blended. Add eggs one at a time, then vanilla and bananas. 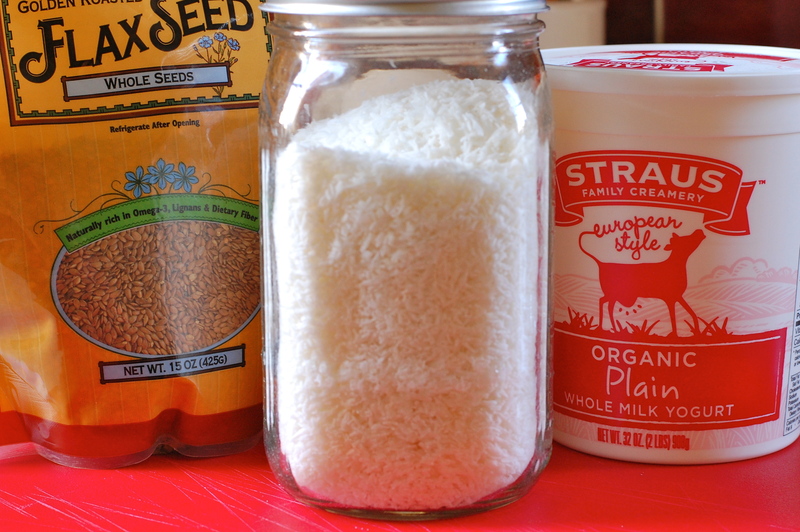 Add dry ingredients and yogurt in batches, about 1/3 of each at a time. Be careful not to overmix! Now throw in whatever combination of “mix-ins” you like – this is where the chocolate chips, nuts, coconut, flax seeds, etc., come in. Mix gently and transfer into buttered bread pan. Bake for about 1 hour, with a serious caveat: check using a toothpick at the 50 minute mark, as it is often done early. The bread is ready if the toothpick comes out very slightly moist, but it shouldn’t have any batter sticking to it. Be sure not to over-bake, it will dry out the banana bread and compromise the result. Should I use 1/4 cup butter AND 1/4 cup applesauce? Or is the applesauce a substitute for the butter? Sorry to be confusing! Yes, you want a total of 1/2 cup. You can go half and half with butter and applesauce. I like your version! Will have to try it! Great / easy recipe…I will make it tomorrow. It took longer than an hour in the oven, the kid loves it. We are making this, possibly right now.